Corporate community support and involvement including an immediate donation of $35,000 to local charities. Job creation and training benefits including 200 accessible quality jobs with employee benefits which will pay in excess of comparable retail positions and include room for advancement. Community catalytic development including retail, restaurants and hotels is expected as a result of this project being the first development at this exit. 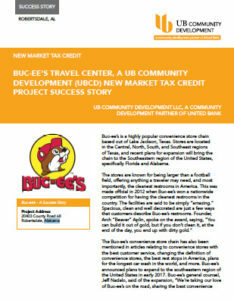 Buc-ee’s is a highly popular convenience store chain based out of Lake Jackson, Texas. 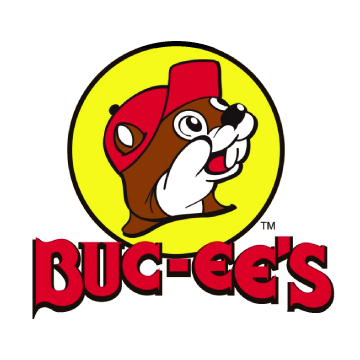 Stores are located in the Central, North, South, and Southeast regions of Texas, and recent plans for expansion will bring the chain to the Southeastern region of the United States, specifically Florida and Alabama. Construction for this project included a 53,000-square foot convenience store and 120 fueling stations located at the southwest corner of Baldwin Beach Express and Interstate Highway 10 in Robertsdale, Alabama.